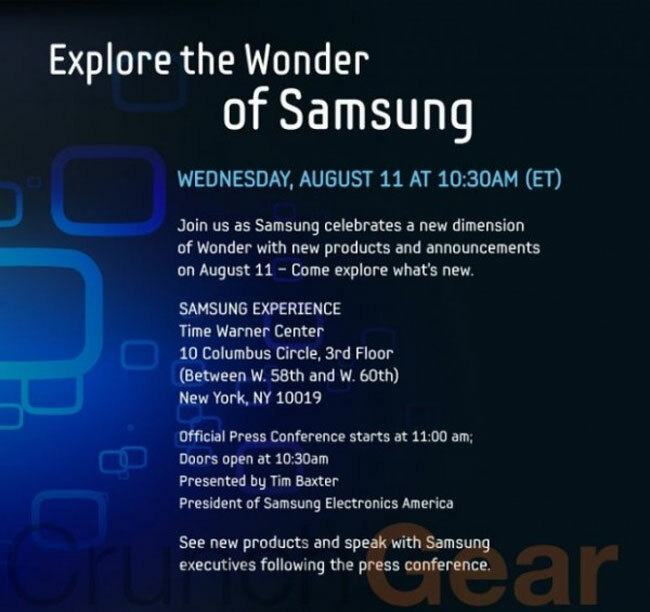 Samsung Galaxy Tab Android Tablet To Be Unveiled August 11th? We have been hearing quite a bit about Samsung’s first Android tablet recently, the Samsung Galaxy Tab, now it seems that Samsung may be about to announce their first Android tablet on the 11th of August. We were told previously that the Samsung Galaxy Tab would launch in the late summer, and now Samsung are holding a a special event on the 11th of August, and it looks like they may unveil the Samsung Galaxy Tab. 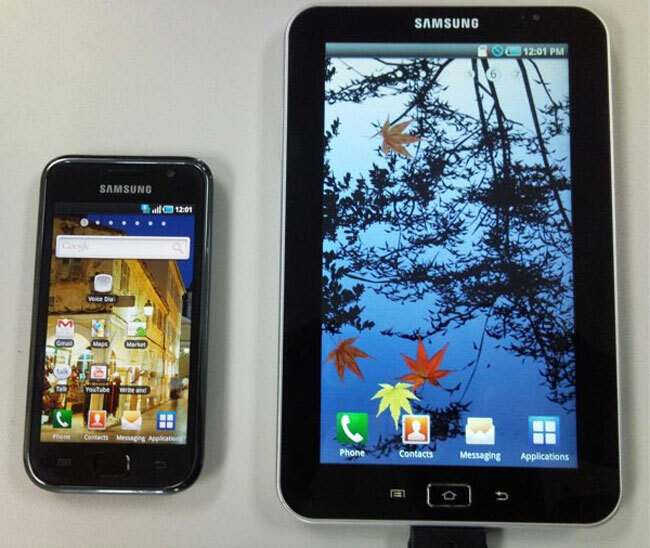 The Samsung Galaxy Tab will be available with three different screen sizes, a 7 inch model, and eight inch model, and a 10 inch model, and it will come with Google Android 2.1. Other specifications that we know about is that it will be powered by a 1.2GHz A8 processor, will come with 16GB of built in storage and a microSD card slot that will give you a total of 32GB of storage. It will be interesting to see what the Samsung Galaxy Tab is like and whether it will be able to compete with Apple’s iPad, of all the Android tablets to be released we reckon this may be about one of the best, if it is anywhere near as Good as the Samsung Galaxy S smartphones. As soon as we get some more information we will let you guys know. Have a look and our article on Android vs iPhone to see which smartphone and mobile platform is best for you.